Leading Manufacturer of manual wire rope slings and mechanical wire rope slings from Ambala. Single, double, triple and quad Wire Rope Slings can be designed and fabricated within close tolerances to desired specifications. 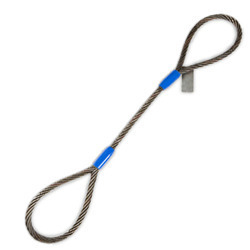 Wire rope slings can also be braided into multiple parts making them more flexible and able to handle more capacity by increasing the diameter of the sling. 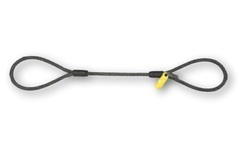 We are instrumental in providing our clients a comprehensive range of Mechanical Wire Rope Slings. The offered slings are precisely fabricated using finest grade material and contemporary tools in adherence to set industrial norms. Our offered slings are widely used for lifting work in various industries. We offer these slings in various specifications in order to meet vast requirements of our clients.